New York City’s 2.1-million-square-foot Javits Center, located in the Hudson Yards neighborhood on Manhattan’s west side, is one of the busiest convention centers in North America. The center hosts more than 175 events and up to 40,000 exhibiting companies each year, and more than 2 million people visit the facility annually. 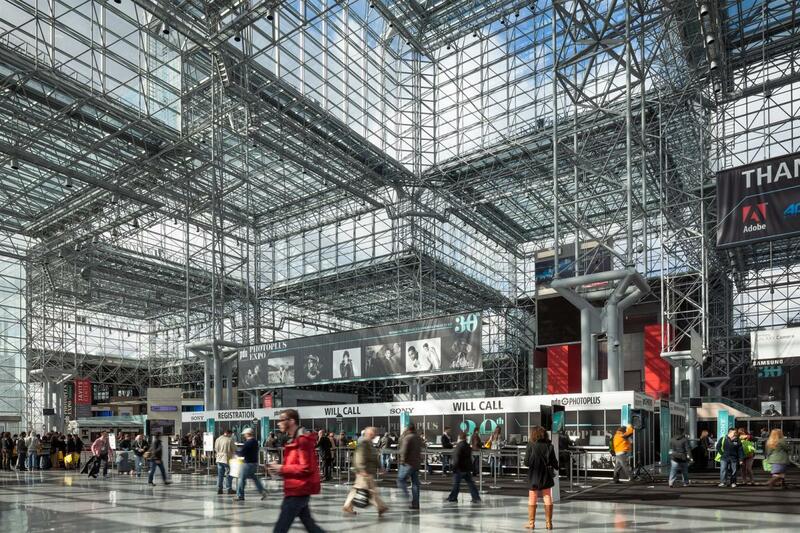 The Javits Center is undergoing a large-scale expansion that will nearly add 1.2 million square feet of total space and increase its meeting space by a factor of five. The project includes the addition of a 53,000-square-foot special event space—the largest in the Northeast—a rooftop terrace that will accommodate up to 1,500 attendees and a four-level truck garage with 27 loading docks. A one-acre rooftop farm that will produce up to 40,000 pounds of fruits and vegetables a year also is being constructed. Construction began in December 2016 and is expected to wrap in 2021. 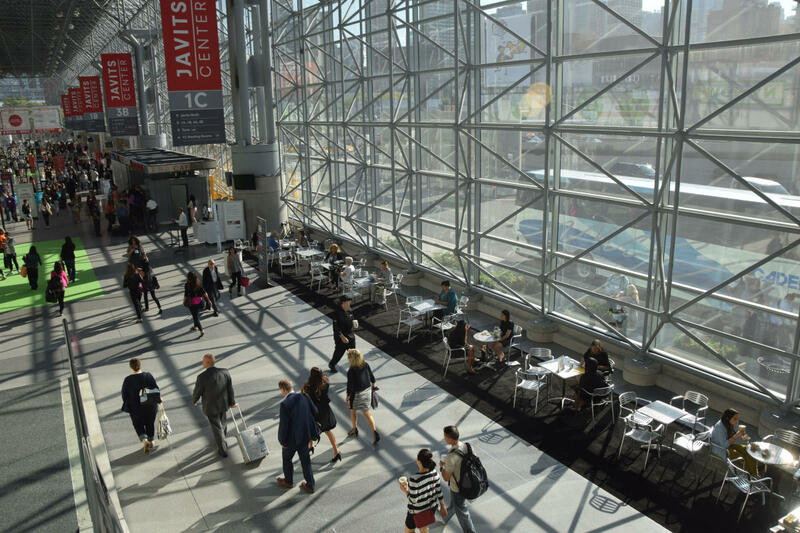 Whether you’ve already booked your Javits Center meeting or are still in the early stages of planning, our guide will help you make the most of its offerings. The recent extension of the 7 subway line to 34th Street/Hudson Yards has made it easier than ever for attendees to travel to and from the Javits Center using public transportation. 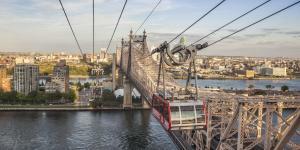 They can reach Times Square and Midtown in under 5 minutes, or ride the 7 line out to Queens to take in Long Island City’s contemporary arts scene, sample food from around the world in Jackson Heights or cheer on the Mets at Citi Field. Using the subway is not only a fast way for groups to get around, it&apos;s extremely cost effective at just $2.75 a ride. Javits Center, interior. Photo courtesy of Jacob K. Javits Center. The four-story Javits Center occupies an entire city block in Manhattan’s rapidly developing Hudson Yards neighborhood. Exhibition space is largely concentrated on Levels 1 and 3, while Level 2 is home to a variety of services ranging from a business center to a shoeshine stand. Level 4 is given over to the American Express OPEN Business Lounge, where American Express OPEN Card members can take a break from the show floor. The iconic Javits Center occupies six city blocks in Manhattan’s rapidly developing Hudson Yards neighborhood. Exhibition space is largely concentrated on Levels 1 and 3, while Level 2 is home to a variety of services ranging from a business center to a shoeshine stand. Level 4 is offers an American Express OPEN Business Lounge, where American Express OPEN Card members can take a break from the show floor, as well as the River Pavilion which provides spectacular views of the Hudson River. At present, the Javits Center’s 760,000 square feet of exhibition space is spread out over 10 exhibition halls, with 102 discrete meeting spaces ranging from a flexible 158,000-square-foot space to a handful of 324-square-foot offices that are perfect for quick one-on-ones—with rooms of varying sizes in between. The convention center also has its own marshaling yard, making it easy to have exhibition materials moved in and out. Javits entry hall. Photo courtesy of Jacob K. Javits Center. It should come as no surprise that the City’s premier convention center is fully tricked out with state-of-the-art audiovisual technology. The Javits Center offers a variety of options for Internet connectivity. Free 512 kbps WiFi is available to attendees and event staff throughout the facility and dedicated bandwidth wired Internet access at a variety of speeds is also available as an upgrade to any meetings package. Wired and wireless microphones, sound systems and tape-recording equipment are available for rental, as is a range of telephonic services, which include analogue and VoIP phone lines, teleconferencing, fax lines (machines not included) and credit card lines. Planners can learn more about Internet, sound and telephone packages by calling 1-877-4-JAVITS or emailing services@javitscenter.com. Attendees and event staff have plenty of choice about where to eat within the Javits Center. Options at the food court on Level 1 include Feel Greens, Korilla and Poke Bowl and an outpost of Mendy’s Kosher Delicatessen, among many others. On Level 2, there’s a full-service Starbucks and the Concourse Café serves hot breakfast items and has sandwiches to go. Level 3 features another full-service Starbucks, as well as the Crystal Palace Marketplace where exhibitors and attendees can dine on cooked-to-order fast-casual fare. There also are a variety of options for exhibit catering as well. Breakfast, lunch and dinner—as well as snacks and beverages—can be ordered ahead and delivered to exhibits at times they specify. Exhibitors can call 1.877.4.JAVITS or email services@javitscenter.com to find out more about what’s available. The Javits Center&apos;s green roof. Photo courtesy of Jacob K. Javits Center. 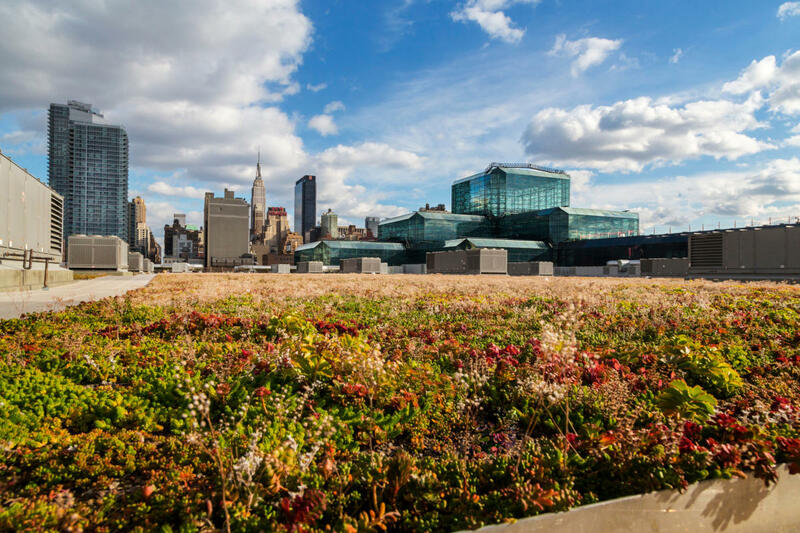 In addition to fostering a home for local wildlife, the green roof—one of the largest of its kind in the United States—plays an important role in reducing the Javits Center’s overall energy consumption. The roof has helped to reduce local temperatures by nearly 2 degrees and can retain up to 7 million gallons of storm water each year, reducing the impact on the local sewer system. 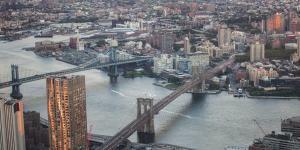 In March 2019 New York Governor Andrew Cuomo announced that Siemens will partner with the New York Power Authority to install equipment that will generate up to 1.4 megawatts of solar energy. The project has the potential to offset more than 1.3 million pounds of carbon emissions each year. 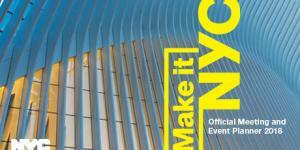 From April to October, Javits Center staff run informative daily tours of the one-of-a-kind landscape, which are available to attendees, exhibitors and event staff on a first-come, first-served basis. 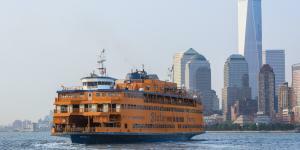 Tours can also be arranged ahead of time to complement event sessions. Exploring the High Line in spring. Photo by Brittany Petronella. 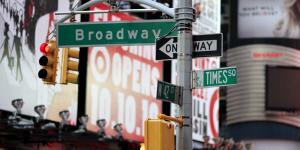 There’s also plenty to do within walking distance of the convention center. Just a few blocks south of the Javits Center is the northern end of the High Line, a 1.45-mile elevated park built over a decommissioned rail line. 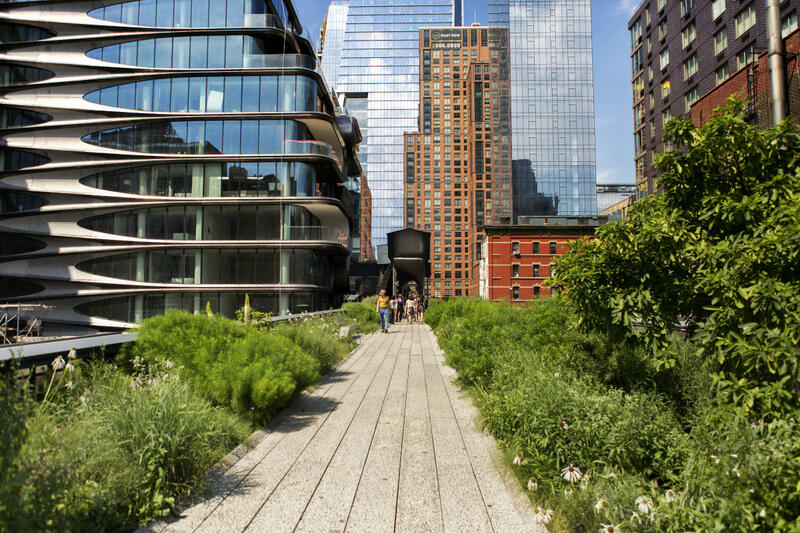 Extending from West 34th Street in Hudson Yards down to Gansevoort Street in the West Village, the High Line is popular with both locals and visitors to the City. Twelve blocks north of the Javits Center is the Intrepid Sea, Air & Space Museum, where retired civilian and military aircraft like the space shuttle Enterprise and the British Airways Concorde are on display year-round. 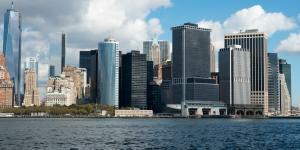 Along with the Javits Center’s expansion, the surrounding neighborhood is quickly developing. Vessel, a one-of-a-kind lookout and public art installation by Thomas Heatherwick and Heatherwick Studio with 154 flights of stairs, some 2,500 individual steps and 80 landings—all commanding unbeatable westside views—debuted in March 2019 at Hudson Yards. The Shed, a 200,000-square-foot mixed-used arts venue that has been in the works for close to a decade, will open along the Hudson in April 2019. The innovative five-story structure from architects Diller Scofidio + Renfro, the team behind the High Line and recent renovations at MoMA, resembles an airplane hangar, able to expand and contract to create a variety of configurations. Once it opens, the Shed will host both local and international displays of visual art, design and media, as well as a variety of performances. The development will also be graced with Edge, the 1,110-foot-tall Observation Deck at Hudson Yards, which will offer river-to-river panoramic views of the City’s skyline and 10,000 square feet of event space when it debuts.